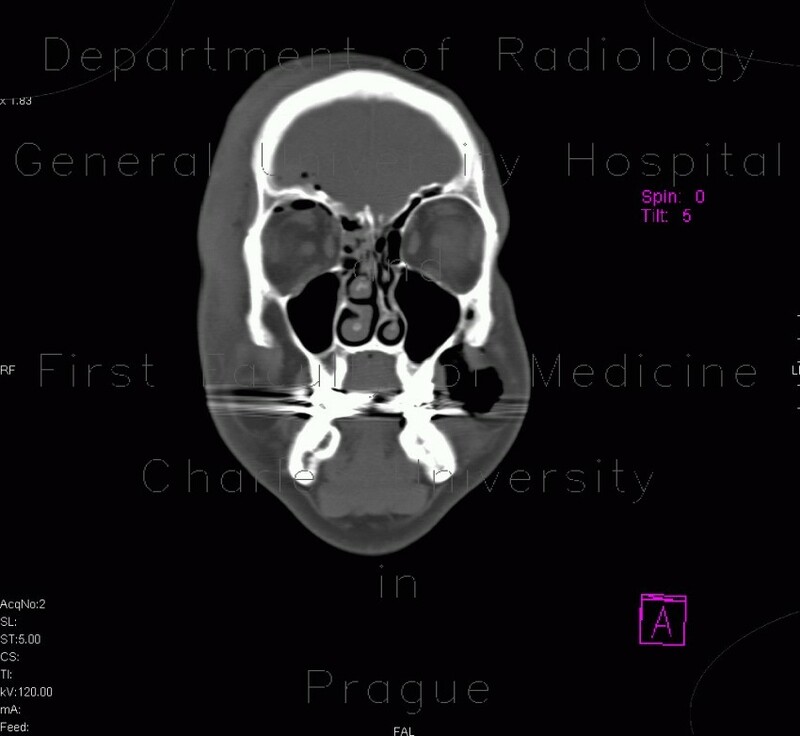 Several air bubbles within the right orbit after a trauma are indicative of communication to the sinonasal system. Moreover, several air bubbles can be seen in the right fronto-polar region, which indicates communication with the intracranial space as well (in this case subdural or epidural space). Note also soft-tissue hematoma of the right side of the face.